A black and white photograph of St. Thomas Anglican Church. The view is from the front of the church. 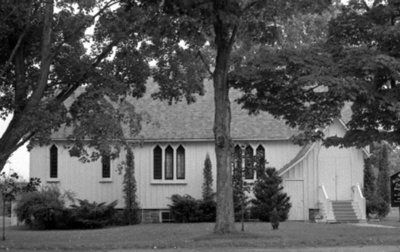 St. Thomas Anglican Church, July 1975, Brian Winter. Whitby Archives A2013_004_031D.